This week’s Pokemon merchandise announcements are pretty… lackluster. Friday was a public holiday in Japan and so the announcements actually went up on Thursday, so I apologize for dropping the ball there. So maybe it’s good that there were only two announcements. 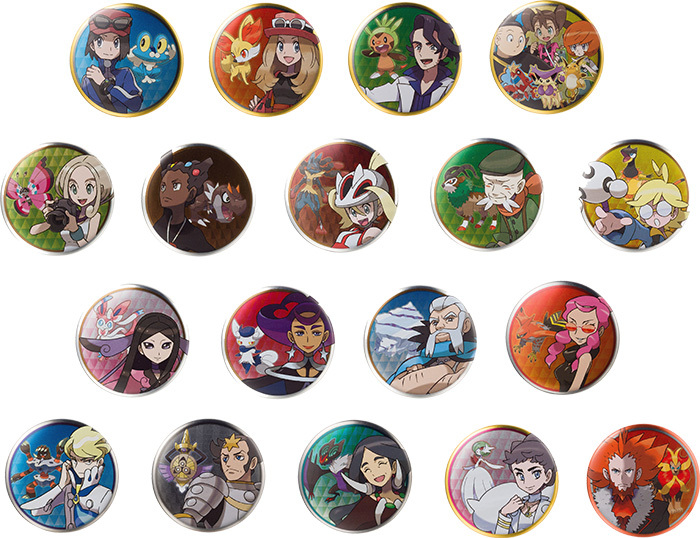 First up – the Pokemon Center’s blind packaged can badge series continues with a set of 18 Kalos themed badges going on sale at all Pokemon Centers & Stores in Japan from December 15th (Saturday). One badge costs 300 yen. 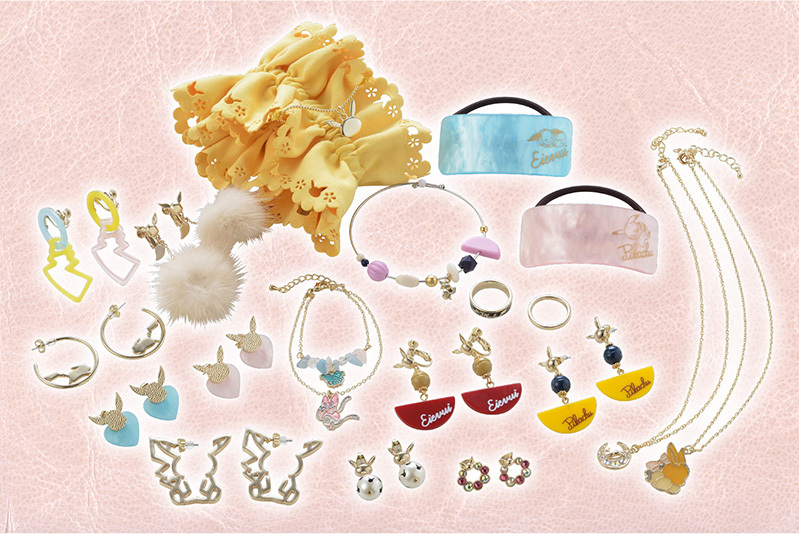 A bunch of Pikachu and Eevee themed accessories (earrings, hair ties, necklaces, rings) will go on sale at all Pokemon Centers & Stores in Japan from December 1st (Saturday). The listing is pretty ambiguous, with everything listed on the page as “accessory” with prices ranging from 864 yen to 1,620 yen. … and that wraps up this week’s announcements!